Blockchain and cryptocurrencies in gaming certainly have great potential. For the past decade players of MMORPGs such as World of Warcraft have become used to buying gold and items required to complete certain quests on exchanges for real money. So one could say the gaming industry as a whole (including gambling) is very crypto/coin friendly. But just like normal consumers, gaming companies and iGaming ventures alike, face a few difficulties towards adoption of cryptocurrencies. Firstly, gambling operators might be wary of accepting cryptocurrencies as a form of payment. Scams, extreme volatility and the complications of wallet management are only a few of the issues. Secondly, thousands of coins are trying to capture the market and it is a cumbersome process to assess which token will suit gaming companies’ needs. To integrate any such coin into existing company payment infrastructures can be immensely difficult and require extensive resources. Thirdly, the most important issue is the regulatory framework. It’s not clearly defined how the whole gaming and betting industry is allowed to accept cryptocurrencies, es­pec­ially KYC and AML with wallets pose some obstacles which need to be solved. If the last point can be solved eventually, then the advantages of cryptocurrencies in gaming are tremendous. Easy, secure and fast transactions and micro transactions or payments provide gaming companies with additional revenue stream opportunities. Users could limit their spending on platforms which ironically might actually lead to increased spending behaviour. Likewise automatic in-game transaction features could allow interlayer asset trading as well as smoother game play, not only for traditional games but also iGaming. On the other hand integrating cryptocurrency payment systems into the gaming ecology, can encourage significant savings on payment processing fees, as you are no longer tied to middlemen carrying out the transfers. One killer feature for providers of this industry is that there is no possibility for chargebacks and providers no longer have to deal with issues such as frauds. Personalised wallets, trusted identities are some features which can be implemented in a regulatory compliant manner, saying the gaming industry probably quite a few billions in lost revenue annually. 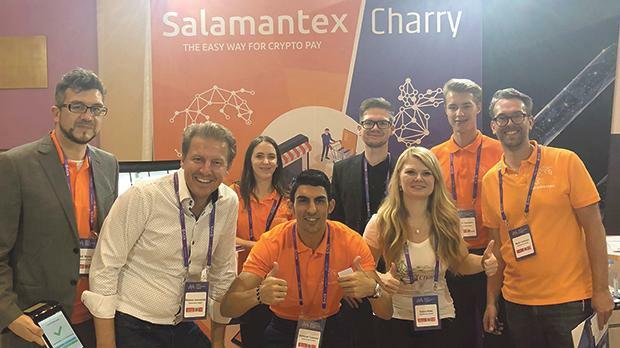 Salamantex as a crypto payment service provider has been following this space for a while and is developing solutions for merchants, retailer and for the ecommerce scene. As Salamantex has already talked with local financial authorities around the world for years, the company knows that each authority strives to complete some form of regulatory framework, which would not only cover payments but also the gaming payment sectors too. From what the company knows there are a few sandbox solutions in development and Salamantex will be updating its systems regularly to be fully compliant and offer its customers the regulatory compliant service they need.